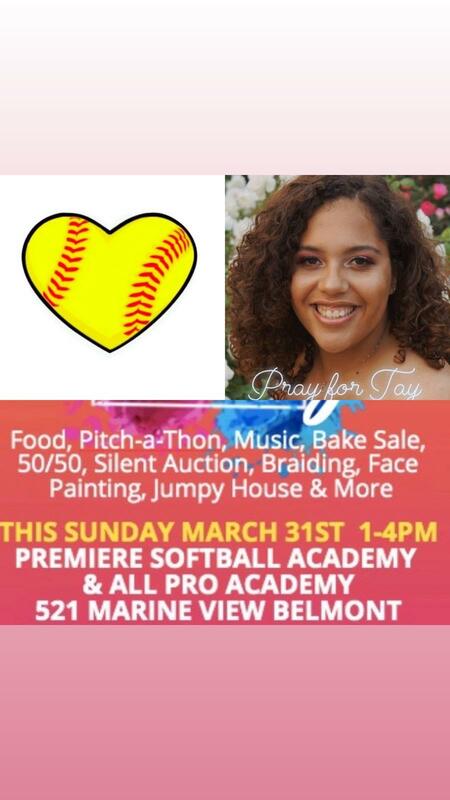 ‘Pray for Tay’ is the rallying sound with purple bows covering everything Tay, as the community comes together for a fundraiser this Sunday at Premiere Softball Academy where Tay trains. “We need to get this fundraising information out to everyone” writes Triny. This event starts at 1pm until 4pm at 521 Marine View in Belmont and is being being hosted by Christie McCoy, Hardley’s private coach at Premiere Softball Academy, and everyone is encouraged to bring others in support. Taylor is a very sweet young lady and has a wonderful family. We are all praying for you Tay.